You can completely reset Firefox to default like when it was first installed. Resetting Firefox will include resetting all Firefox settings to default and deleting your profiles, themes, extensions, bookmarks, browsing history, passwords, cookies, and web form auto-fill information. 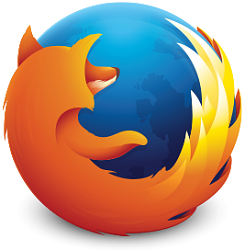 This tutorial will show you how to completely reset Mozilla Firefox back to default for your account in Windows. The .bat file will delete the two folders below to reset Firefox to default for the current account in Windows. 4. Close any open Firefox windows. 5. Run the .bat file. 6. You will now notice a command prompt quickly open and close to reset Firefox to default. Has anyone else experienced default apps in windows 10 being automatically reset? It seems to dislike VLC and Irfanview and resets defaults to Microsoft apps.